For many years, Gorrissen Federspiel has been positioned as one of the leading full-service law firms in Denmark with strong and long standing international relations.This position is a result of consistent dedication to quality and understanding of our clients’ needs. Over the years, we have acted on behalf of our clients in many of Denmark’s largest and most complex transactions and Gorrissen Federspiel’s partners have litigated in some of the recent years’ most high profiled and critical lawsuits. Our aim is to provide advice at the highest professional and ethical level, tailored to the client’s individual situation and requirements. We are accessible whenever our clients need our assistance. 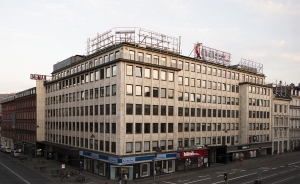 Our practice areas cover all branches of Danish and EU commercial law. We are a fully integrated law firm that works internationally. More than half of our 400 employees are lawyers who possess both broad educations and exactly the competencies relevant to our clients. Gorrissen Federspiel’s cross-practice group for Life Sciences provides advice to businesses and institutions involved in research, development, manufacture and commercialization of medicinal products, medical devices, biotech products, food and chemical products. We also assist Life Sciences businesses and their owners and investors with raising of capital and investments and with the acquisition and sale of Life Sciences businesses. We assist a variety of clients within the Life Sciences sector, including a number of leading innovative pharmaceutical companies, a large number of Danish and international companies within medical devices, food and chemical products, as well as a number of small, medium-sized and large biotech companies. The Life Sciences group includes lawyers with core competencies within IP, regulatory issues, Corporate/M&A, competition law, procurement law and data protection. A number of the group’s lawyers have experience from previous employment with or long-term secondment to businesses in the Life Sciences sector. Chambers Europe, 2016: M&A / Corporate (Band 1): “Exceptional M&A practice advising on complex and high-profile buy and sell-side deals across all industry sectors..."
Chambers Europe, 2016: IP (Band 2): “Respected team assisting large Danish companies with domestic and cross-border IP issues". Winner of Chambers Europe Award for Excellence 2014: "This excellent independent firm maintains strength in all practice areas, most notably in banking, capital markets, shipping and restructuring". Legal 500, 2016: Ranked in Tier 1 in a number of areas, including IP and Corporate / M&A. Our specialist Jacob Ørndrup is happy to meet you. Our specialist Camilla C. Collet is happy to meet you.